It’s October! And that not only means that it’s officially fall but it’s also time to get your Halloween decor, menu and costumes figured out. Whether you want to shop around or do a little homemaking this holiday, we’ve got you covered. 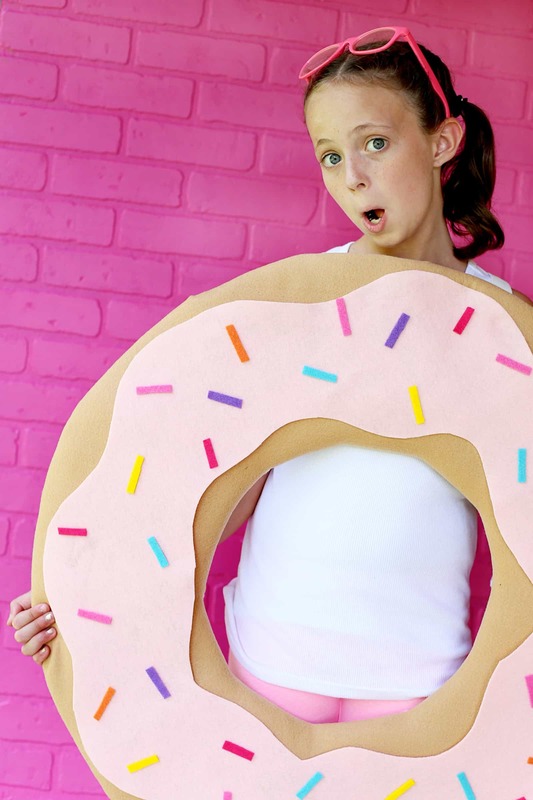 Today, we’re sharing 15 super creative Halloween costumes you can DIY right at home. Take a peek at our favorite finds! Wonder Woman lit of the screen, so why not light up the party in a DIY costume fashioned after Gal Gadot’s character? Brit + Co has all the deets behind this beauty. Stun yourself by your handiwork and the guests with how hot you’ll look! If you’re looking for something a bit quirkier, then you’ll want to check out all the ideas that Studio DIY has to offer. 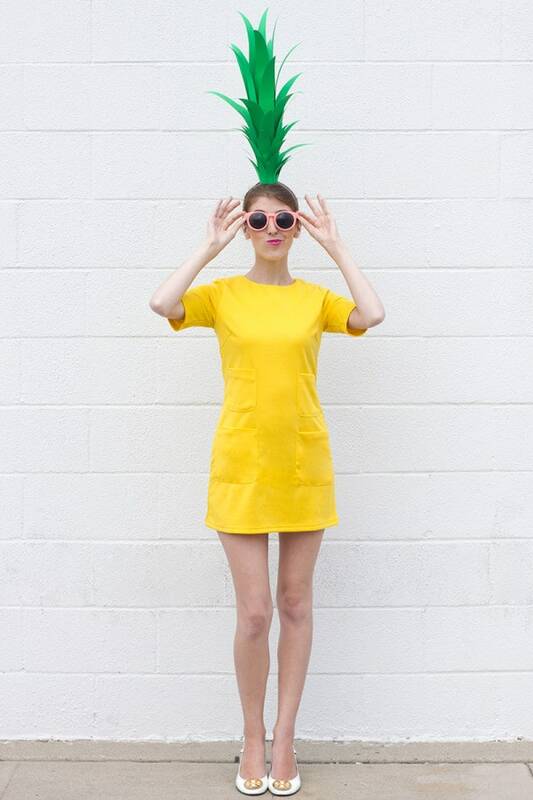 This pineapple costume struck our fancy though because of its ease! All you really need is a yellow dress to get yourself started and a headband too. Mermaids are trending so going as one for Halloween is a no-brainer. Do it in a creative and stylish way though with some help from Life With A. Co. We’re loving that seashell bodice! 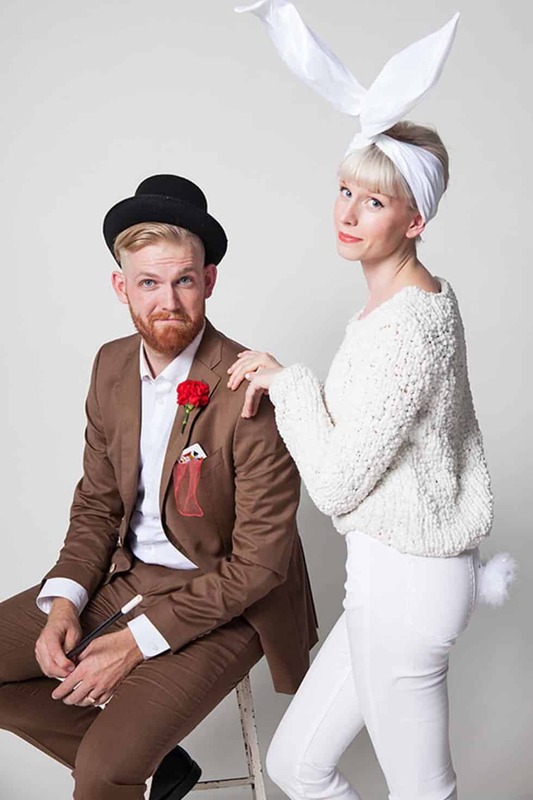 Here’s a couple’s costume that we’re swooning for. Say Yes brings us all the idea and inspiration behind the duo. But you can tell that it’s an easy one to fashion your own looks after. Who wouldn’t want to take a sip of a frappaccino looking this adorable? 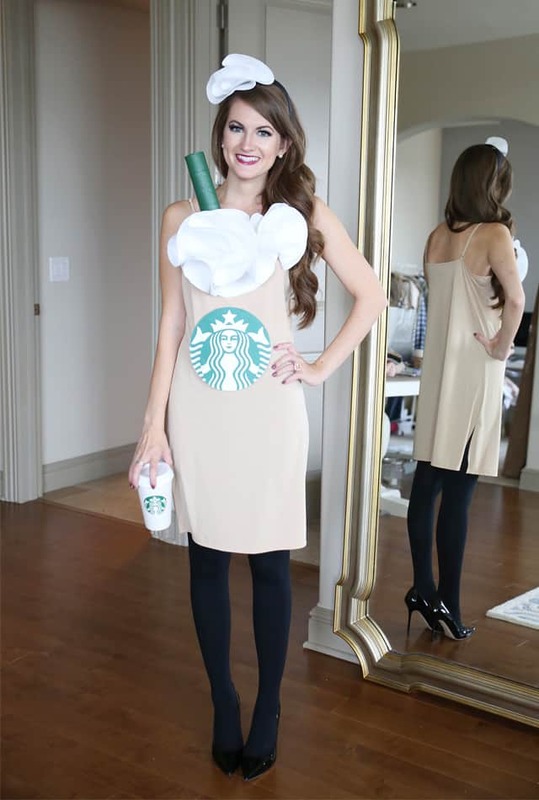 Southern Curls & Pearls has all the know-how behind this Starbucks cup and we’re loving how unique and creative the outfit really is! We also love how the look is finished off with some black tights and classic pumps as well. Remember when frosted animal cookies were a thing? Well, they’re still a thing, at least in the eyes of Studio DIY and we couldn’t agree more! 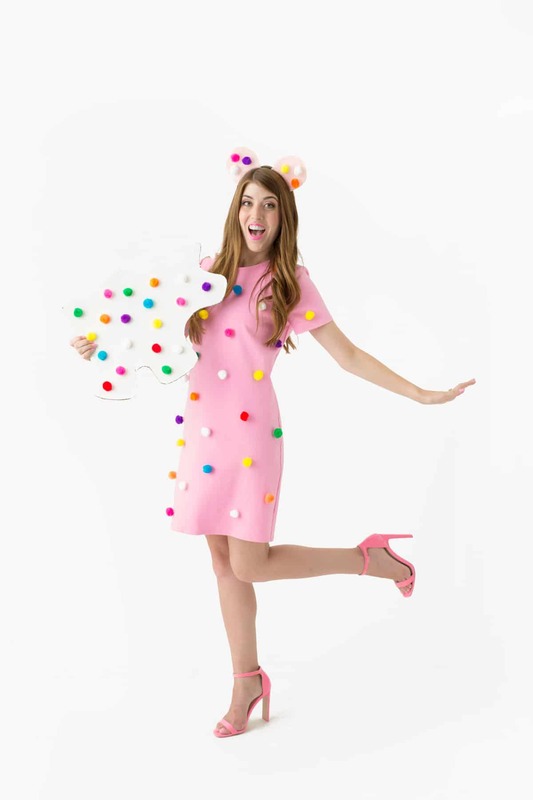 Jump over now and grab some ideas concerning your extra-sprinkly costume this year. 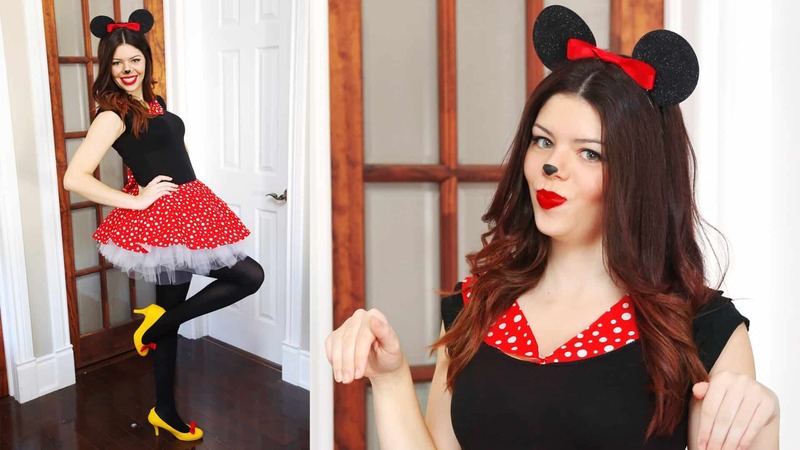 You could always go as Minnie Mouse this year. She’s easy to recreate and you could put your own twist on the outfit like you see here in this YouTube video. Don’t forget the perfect shade of red lips either, it’s a must! 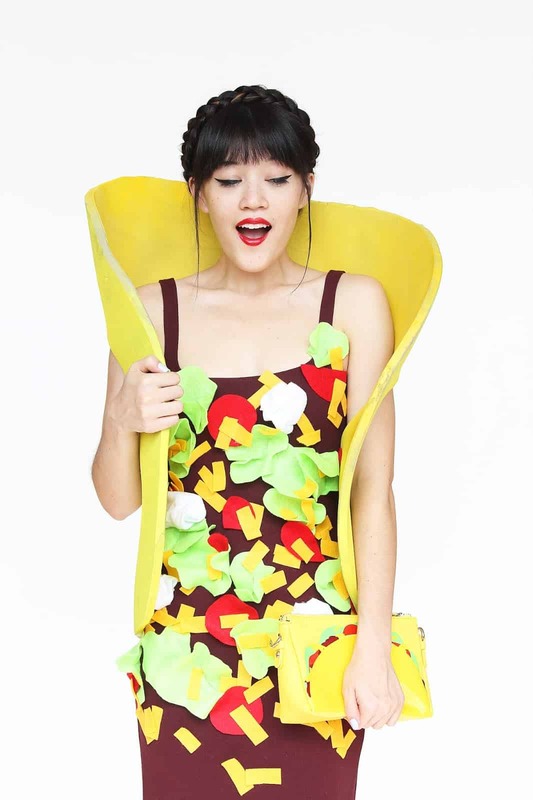 Tacos are delicious, so why not use them as Halloween costume inspiration? That’s what Aww Sam did and we’re loving the finished product. Just don’t forget the sour cream – maybe as a pouffed headband? Oh Happy Day gave us a great idea for little ones but one that can easily be recreated as adults too! 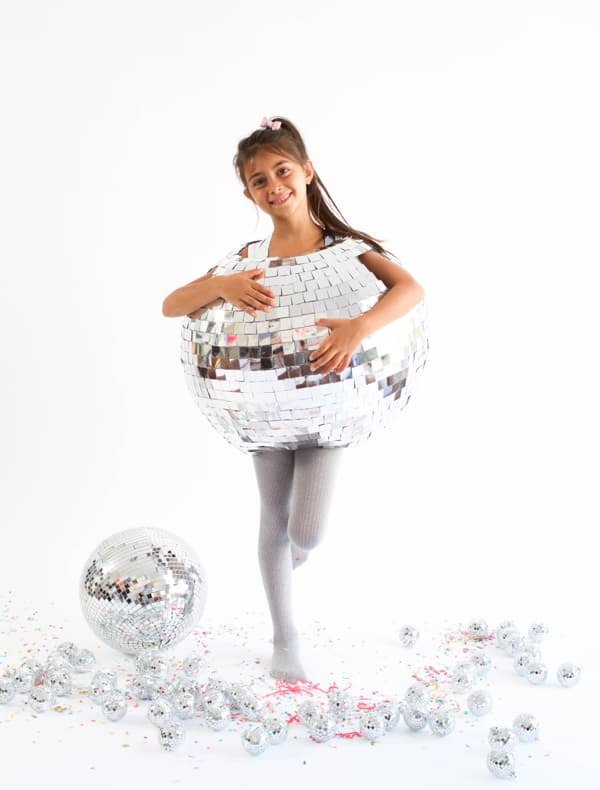 Going as a disco ball makes for quirk, comfort and laughs. Check out the details after the jump. You can really father inspiration from anywhere when it comes to your Halloween costume – even an Oscar red carpet of times ago. A Beautiful Mess took Bjork’s famous swan dress and turned it into a costume! And we just had to feature its DIY spirit and creativity too. Sia is a good one to fashion your costume after too! It’s easy, it’s creative and she’s easily recognizable too. Just visit Bunny Baubles for some tips and tricks on how to make it happen. Turning yourself or a loved one into a sprinkle donut this season seems like a fun idea. And thankfully, it’s quite easy too. Grab some help from iLoveToCreate and think about making that frosting chocolate if you prefer. Of course, Disney will always have a lot of inspiration concerning our costumes. And Cinderella may be high on your list too! But, Cinderella before she went to the ball could be what makes your version a bit more unique – like that of Brit + Co. 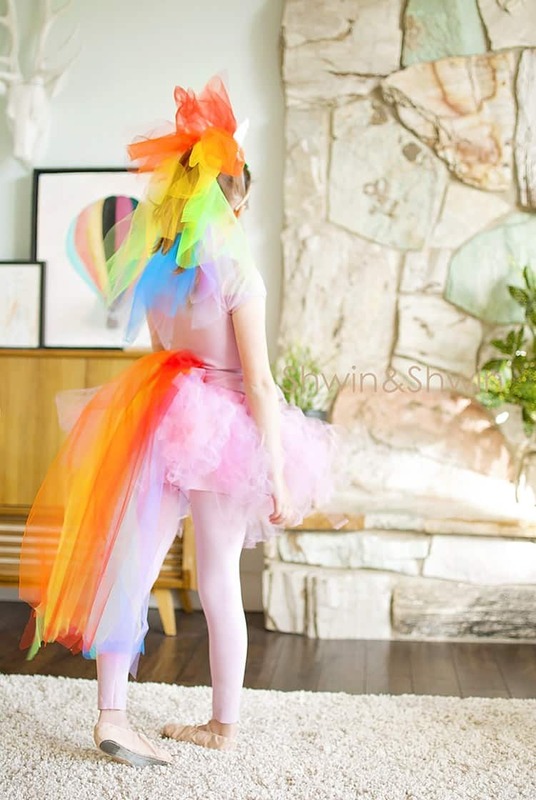 This rainbow unicorn idea from Shwin and Shwin is absolutely precious. We love it for both young ones and old ones. And there’s so much you can do to make this personalized and age-appropriate. Last but not last, we have The Joy of Fashion bringing us one of the most creative ideas of the bunch. Who knew turning yourself into a gumball machine could be so adorably stylish? Grab a bag of pom poms and get started now.